The Araneta Center is giving away 6 tickets to the opening of the PBA’s 36th Season this Sunday (October 3, 4pm) at the Araneta Coliseum. 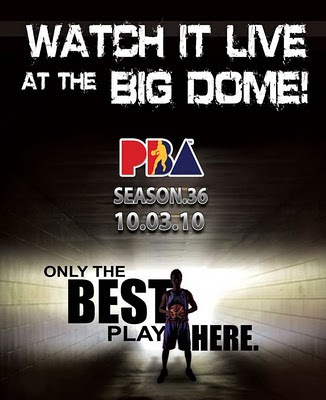 The first game features crowd-favorites BARANGAY GINEBRA KINGS against the league’s newest team THE MERALCO BOLTS! Here’s how to join: (1) Post on this page WHY YOU DESERVE TO WIN THESE TICKETS (Be original! Be creative! ), (2) The top 3 posts with the most number of LIKES by Saturday, 12 noon wins 2 tickets each.